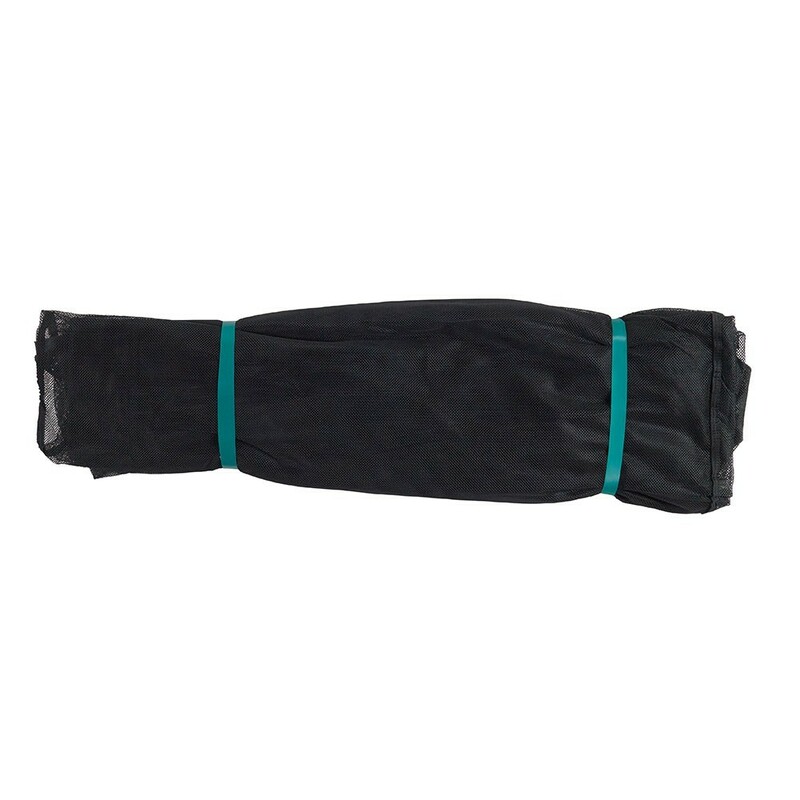 Premium netting for rectangular Apollo Sport 500 trampoline. 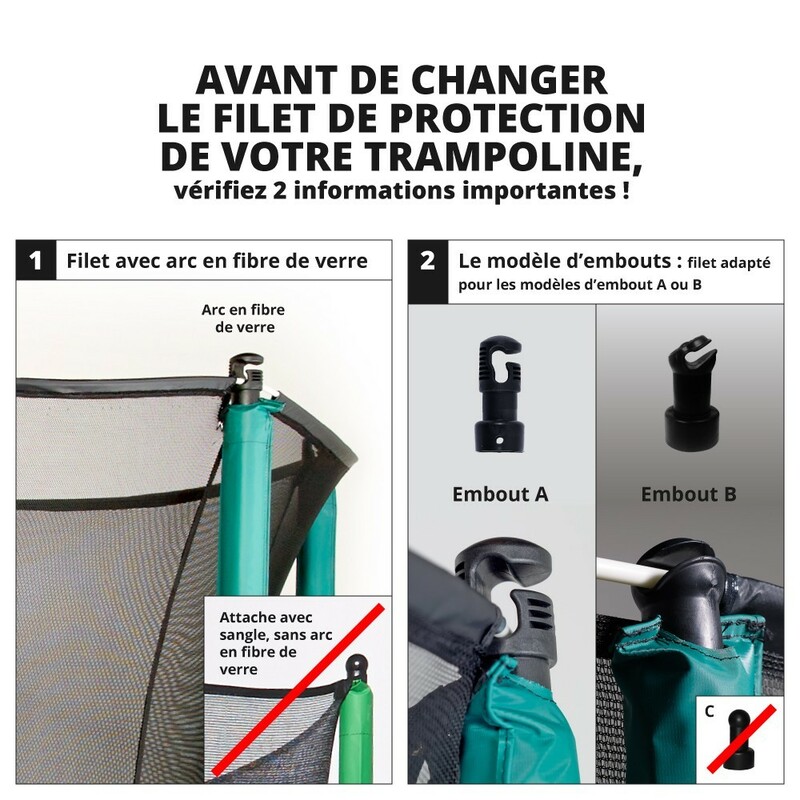 The protection net is an indispensable element to guarantee safety on your trampoline. This enclosure will prevent children and adults from falling off the trampoline and will gently break any landings. It is important to replace your netting if it is damaged or torn. This model is adapted to our Apollo Sport 500 trampoline, bought after March 2012. It will also fit all rectangular trampolines of 5.10 m by 3.68 m with 8 posts mounted with plastic caps. Our polyester nets have a thick grammage and tight netting. 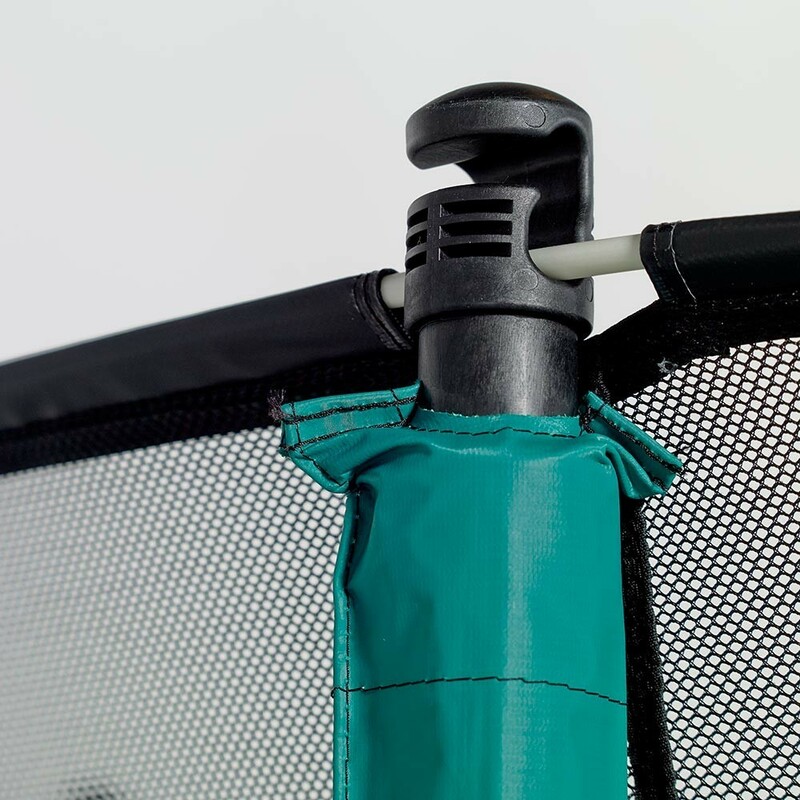 This makes the netting softer to touch and avoids little fingers from getting stuck. The net is attached underneath the trampoline by the springs, making impossible to get stuck between the frame pad and the enclosure, which can happen on low cost trampolines. The entrance to the trampoline has a coloured contour making it easy to locate. The enclosure also has an overlapping entrance, providing maximum security on your trampoline. It opens using Velcro strips and solid clips. The netting is held at the top of the posts by fibreglass rods.